GARDAÍ IN LOUTH have issued a renewed appeal for witnesses to what investigators believe was a gangland-related shooting in Drogheda yesterday afternoon. A man in his 30s remains in a critical condition at Our Lady of Lourdes Hospital after being shot at around 3.15pm at The M1 Retail Park in Mell. He was injured while sitting in the passenger seat of a white Vauxhall Astra with a 12 LH registration, which he got into after leaving a shop in the park moments beforehand. There were a number of young families in the area and the retail park was busy at the time, informed sources have said. 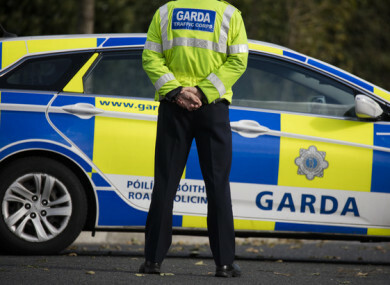 Gardaí believe the suspected perpetrators left the scene in a black Volkswagen Passat with the registration 132 D 18498, which was later found burnt out at a car park at Seapoint, Co Louth at 7.15pm. Investigators have asked witnesses or anyone with information to contact the incident room at Drogheda Garda Station on 041- 9874200, the Garda Confidential Line 1800 666 111 or any Garda Station. They are particularly interested in speaking to anyone who was present in the M1 retail park between 12.30pm and 3.30pm and may have seen the cars mentioned. Gardaí also urged anyone with mobile phone or dash cam footage and those who were in the Seapoint car park between 3.30pm and 7.15pm yesterday to come forward. Email “Gardaí renew appeal for witnesses as Drogheda shooting victim remains in critical condition”. Feedback on “Gardaí renew appeal for witnesses as Drogheda shooting victim remains in critical condition”.